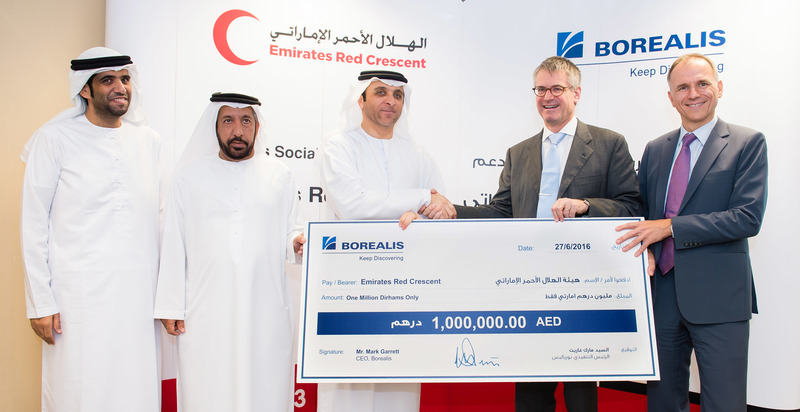 Borealis, a leading provider of innovative solutions in the fields of polyolefins, base chemicals and fertilizers, has announced the donation of AED 1 million to the Emirates Red Crescent (ERC) to support refugee relief efforts in Lebanon, Jordan and Iraq. 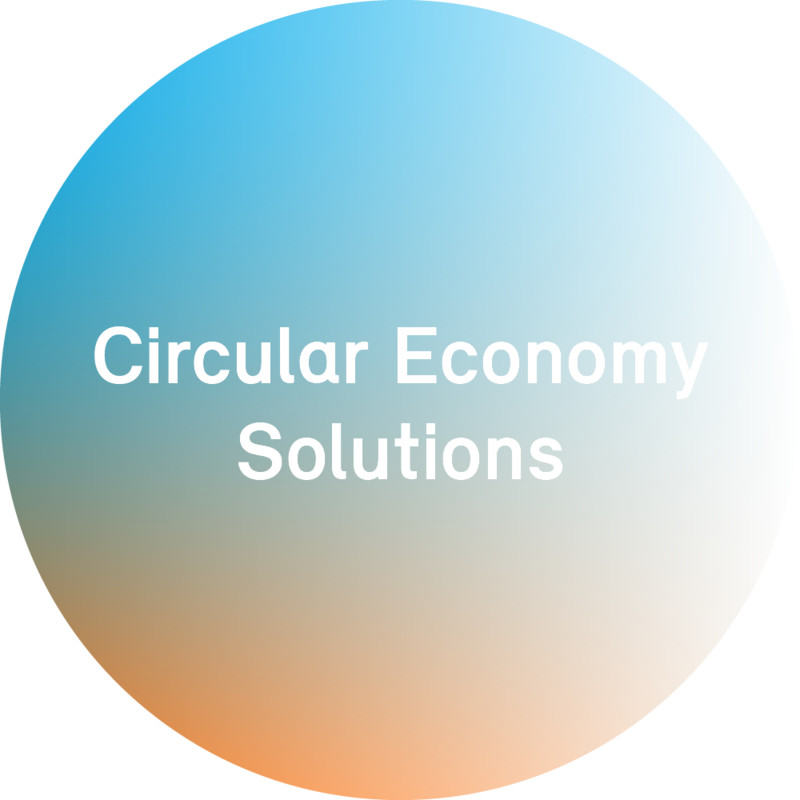 The donation is provided by way of the Borealis Social Fund, which was launched in 2008 and is dedicated to enhancing social welfare. ERC has provided humanitarian support in times of peace and war since 1983, and has been a member of the International Federation of Red Cross and Red Crescent societies since 1986. The Borealis Social Fund donation will contribute to ongoing ERC efforts to provide both immediate and long-term support for refugees. One of their principal ongoing activities involves immediate care to thousands of refugees in Iraq, Jordan and Lebanon in the form of food, medicine, tents and blankets. The ERC has stepped up its efforts to provide relief to those fleeing the conflict in Yemen, and is offering its support to a new facility in Greece established to shelter Syrian refugees. Longer-term support comprises building homes, schools and clinics as well as sustained assistance to victims of war like widows and orphans. Bin Sultan pointed out that ERC is committed to strengthen its partnerships with individuals and other local, regional and international organisations to offer as much solidarity and response as possible to the victims of conflicts and disasters and to the most vulnerable people, in addition to encourage the public to respond to their humanitarian circumstances. He noted that ERC is expanding its programmes and activities in the areas of conflicts thanks to the support it receives from donors and benefactors who stood behind what ERC has achieved on the humanitarian front. By way of its Borealis Social Fund, the company has provided regular support for a range of humanitarian and educational organisations in the UAE such as the Emirates National Schools, the UAE Disabled Sports Federation, the Zayed Higher Organisation for Humanitarian Care, the Family Development Foundation, and other select charities. Borealis donation to Emirates Red Crescent provides refugee relief In the middle: Mark Garrett, Borealis CEO with H.E. Fahad Abdulrahman bin Sultan, Deputy Secretary General for International Aid, ERC; Left: Mohammed Al Yammahi, Director of Fundraising next to H.E Rashed Al Mansoori, Deputy Secretary General for Local Affairs, ERC; Right: Michael Bjorn, Borealis VP for Middle East & Asia.